Having your own mobile application allows your business the opportunity, not only to gain a share of the US mobile app market but to integrate into the larger global market. 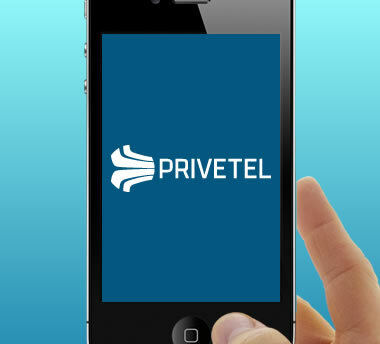 Using the Privetel Smart Platform as its core and engine, you can create your own custom Mobile Application over any operating system, including iPhone, Blackberry, Android, Symbian, and Windows Mobile. Class 5 features - Call forwarding, three way conferencing, voicemail, etc. With today’s ever evolving technology, it is simply not enough to present your business’ main mobile experience as a website. It is essential to provide your customers with alternative means of involvement, creating opportunities where otherwise there may not have been options. It is through these opportunities, that you will generate new profits for your company, in new markets, while creating more traffic to your company’s existing networks. Privetel provides you a dedicated team to customize your applications so you can differentiate yourself from the competition while you expand your database of clients. A mobile application is the best way to market your telecom services where your clients will use it most: their mobile devices.